The buck stops at the CEO’s desk and the leader’s decisions spell business success or failure. 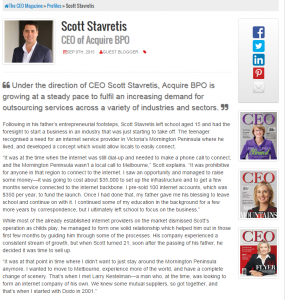 This is what defines Acquire BPO CEO, Scott Stavretis’ daily grind. As a business leader with over 15 years of executive management experience, Scott is no stranger to initiating business ventures, finding opportunities, as well as meeting and sustaining growth targets. In an interview with The CEO Magazine, Scott shares some of the challenges he has faced throughout his career, how he has overcome these and thrived. 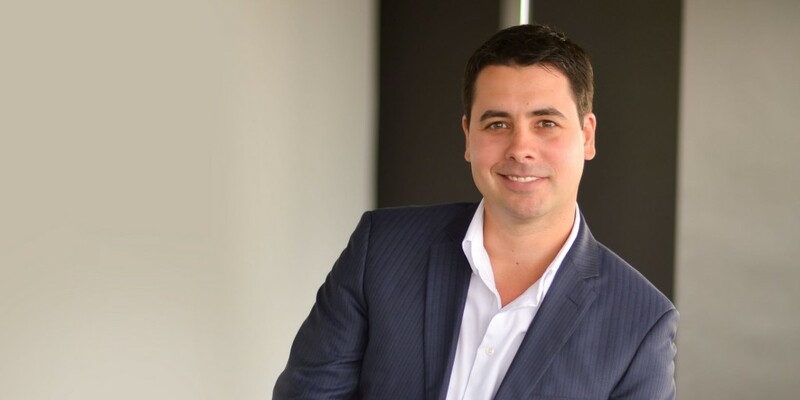 Scott has held a track record for driving the success and growth of a number of start-up companies and large organisations, such as Dodo Australia, Eftel Limited and ClubTelco. And now, as CEO of Acquire BPO, Scott is the primary decision and policy-maker of the company, formulating and executing long-term strategies, and collaborating with clients, employees, investors and other stakeholders. Get up close and personal with the man at the helm of Acquire BPO, Australia’s largest outsourcer to the Philippines and an emerging leader in global outsourcing.